Volunteers Are the Heart of Compassion Airlift! Compassion Airlift has no paid employees. All of Compassion Airlift’s personnel are volunteers who share the joy of helping others. Our time, our talent, and our treasure support our mission—and it takes the efforts of many to make the program work. Many of our volunteers juggle several tasks because there are more jobs than we currently have volunteers. Do YOU have the heart of a Compassion Airlift volunteer? If you’re a “Tinker, Tailor, Soldier, Sailor, Rich Man, Poor Man, Beggar Man, Thief, Doctor, Lawyer, Merchant, or Indian Chief,” we can use your help. Seriously, whatever your skills, Compassion Airlift can use your help. 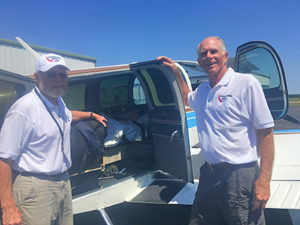 Here are some of the specific areas in which we can use additional help: flight crew, aircraft mechanic, patient communications, accounting, advertising, community outreach, marketing, public relations, air show coordination, media liaison, fundraising, data base management, correspondence, legal, volunteer recruiting, hangar management, and airplane care. All you need is a passion for helping others. 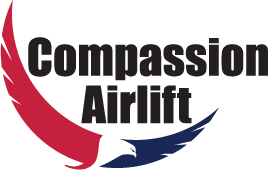 Would you like to join the Compassion Airlift team and donate your time and talent to helping those in need? If so, check our “contact us” page for ways to communicate with us or just come to one of our monthly meetings. Our meetings are held in the Conference Room of APP Jet Center, on the east side of the Manassas Regional Airport, from 7:30 PM until 9:30 PM on the third Tuesday of every month except August and December. Everyone is welcome.